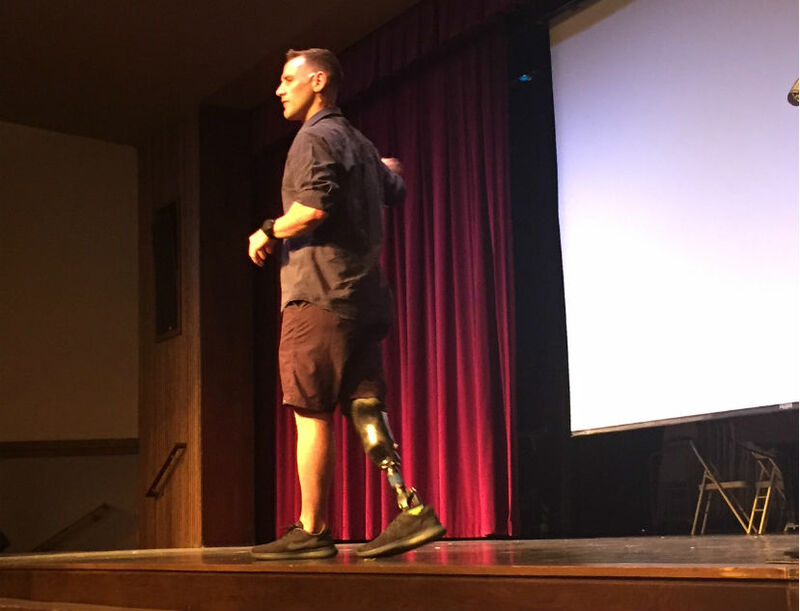 QBOL™ Eric McElvenny, Retired Marine Captain and amputee Ironman, delivered a powerful message to 410 5th-8th grade students at Bellwood-Antis Middle School, Bellwood, PA. 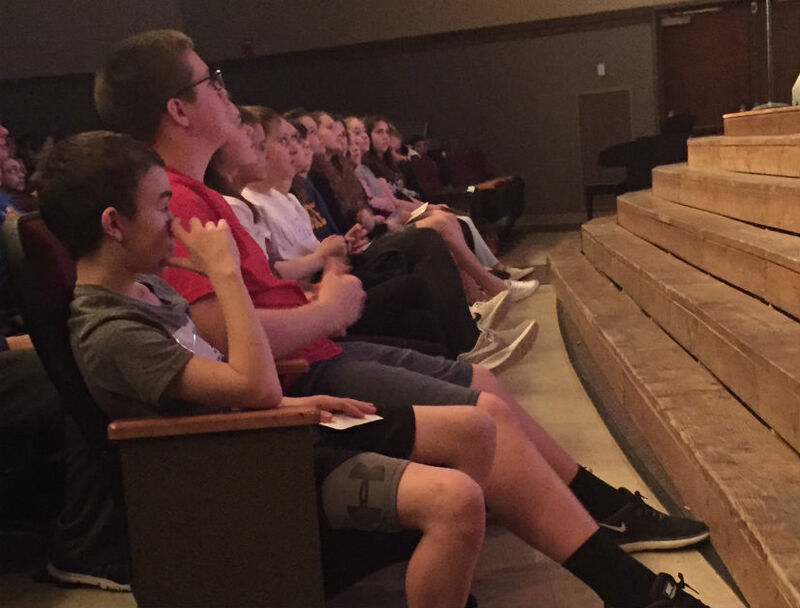 This is the seventh year that Bellwood-Antis School District has participated in the Quarterbacks of Life® Student Success and Leadership Program. 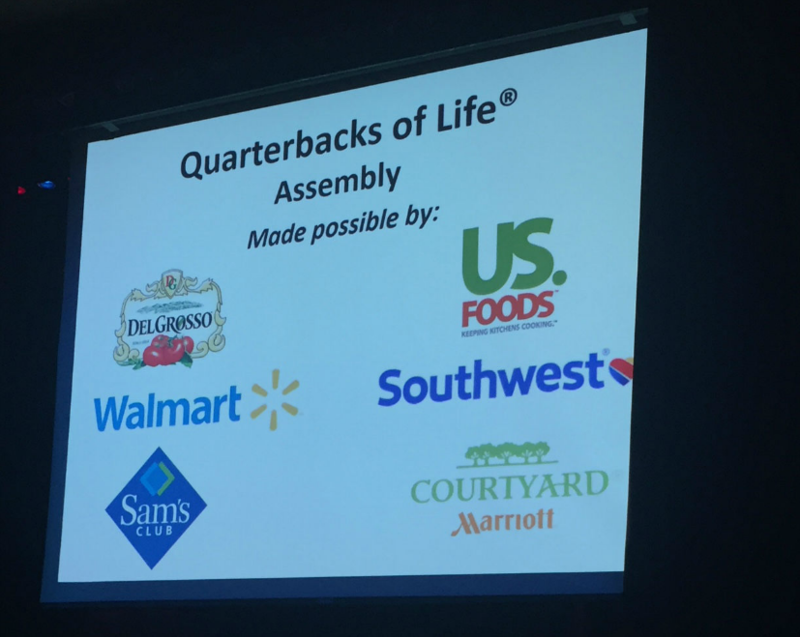 This Quarterbacks of Life assembly was made possible by DelGrosso Foods, Walmart, Sam’s Club, US Foods, Courtyard by Marriot (Altoona), and Southwest Airlines. The following article appeared in the Tyrone Daily Herald. The students at the Bellwood-Antis Middle School were treated to a riveting motivational and inspirational assembly this past Friday. 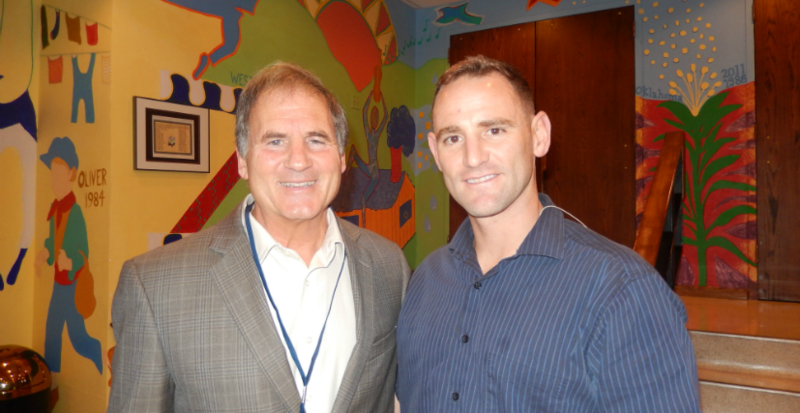 The program was presented through the Beating the Odds Foundation, under the leadership of founder Rocco Scalzi, a former Altoona Police Officer. 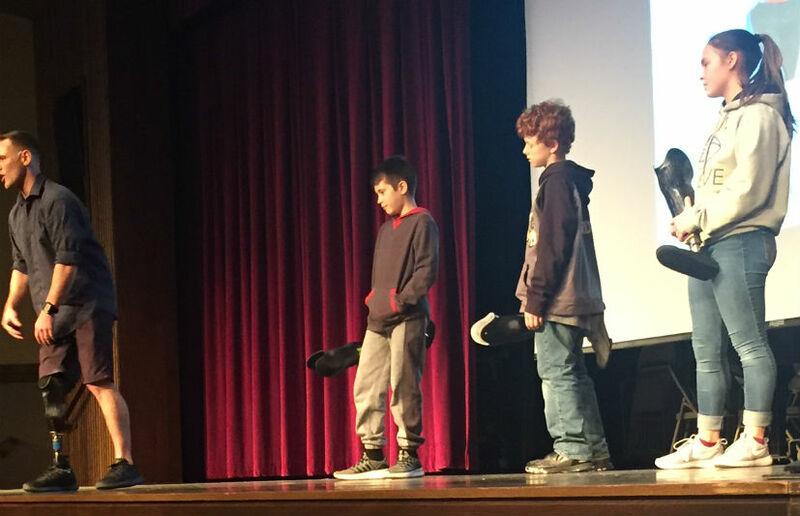 The assembly was presented to approximately 410 fifth- through eighth-grade students. 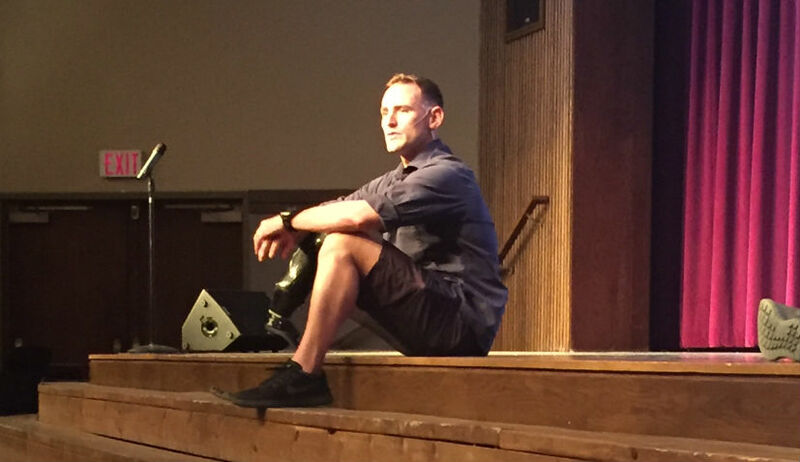 The speaker was Eric McElvenny, retired Marine Captain and amputee ironman who serves as a Quarterback of Life for Beating the Odds. 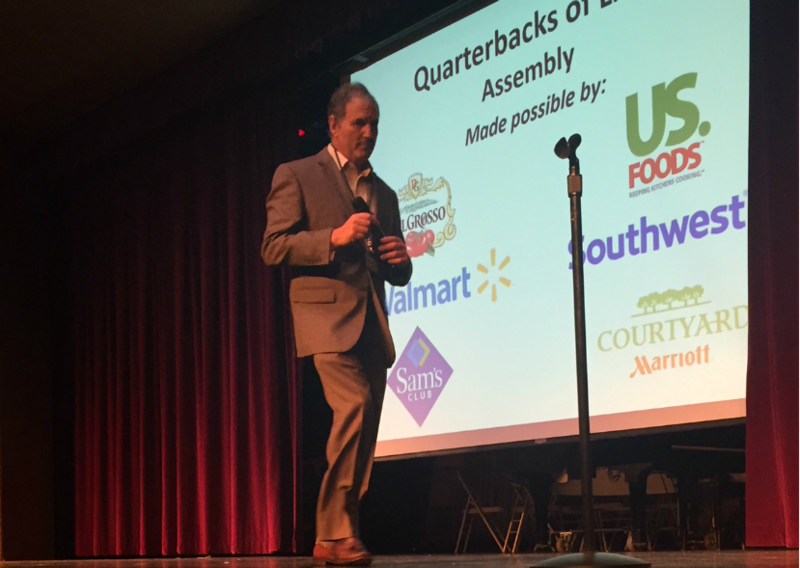 This is the seventh year that the Bellwood-Antis School District has participated in the Quarterback of Life Student Success program. Eric McElvenny, who is the newest Quarterback of Life for Beating the Odds, addressed the students with his own personal story of beating the odds and the principles that McElvenny used to overcome his very traumatic injury in order to inspire those students in attendance to tackle their challenges and to at the same time build pride in their lives. McElvenny is an amputee endurance athlete from Pittsburgh. He received a mechanical engineering degree from the United States Military Academy in 2006 while he was preparing for service as a Marine Corps Infantry Officer. McElvenny deployed three times as a Marine, and on his final tour in Afghanistan was wounded when he stepped on an explosive device (IEd). McElvenny suffered an amputation of his right leg below his knee. This was a life changing opportunity that took McElvenny on his next journey. 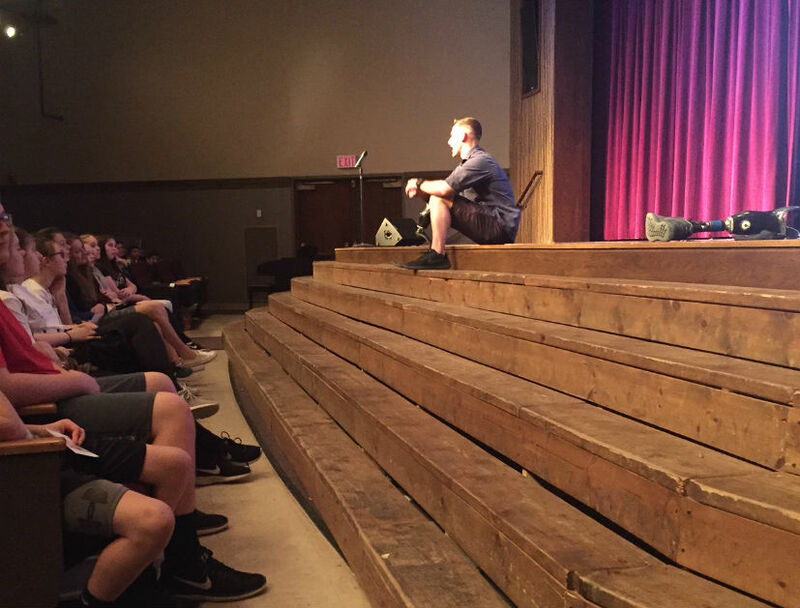 During the next one-hour riveting presentation, McElvenny spoke to the students by taking them on a journey from the time leading up to stepping on the IED to winning his struggle of walking out of a hospital bed and competing and crossing the finish line of The Ironman Competition in Kona, Hawaii. 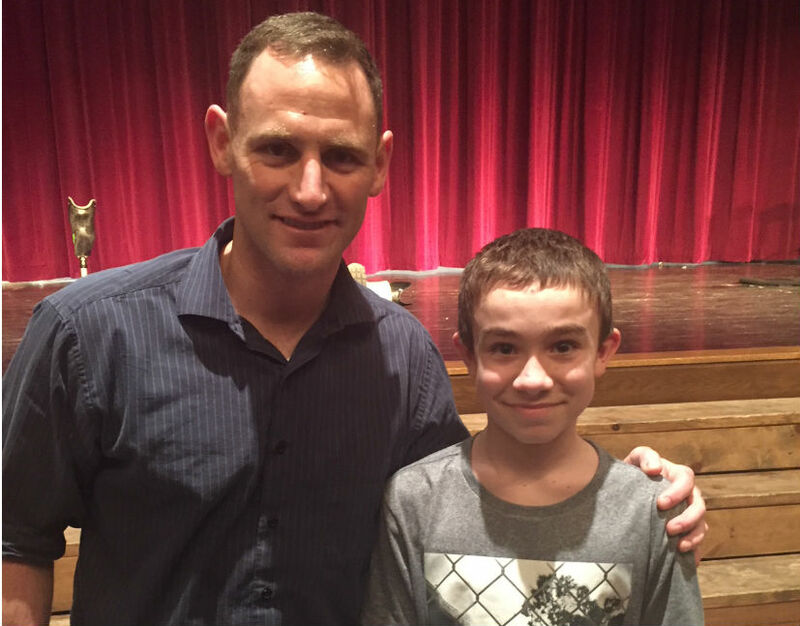 With a well-balanced presentation of personal, struggles, family and personal adjustments, hard work, goal setting and humor, McElvenny had the attention of all the students the entire hour of his motivational and very inspirational presentation. There was not a sound in the auditorium by the students, who were completely spellbound the entire time. 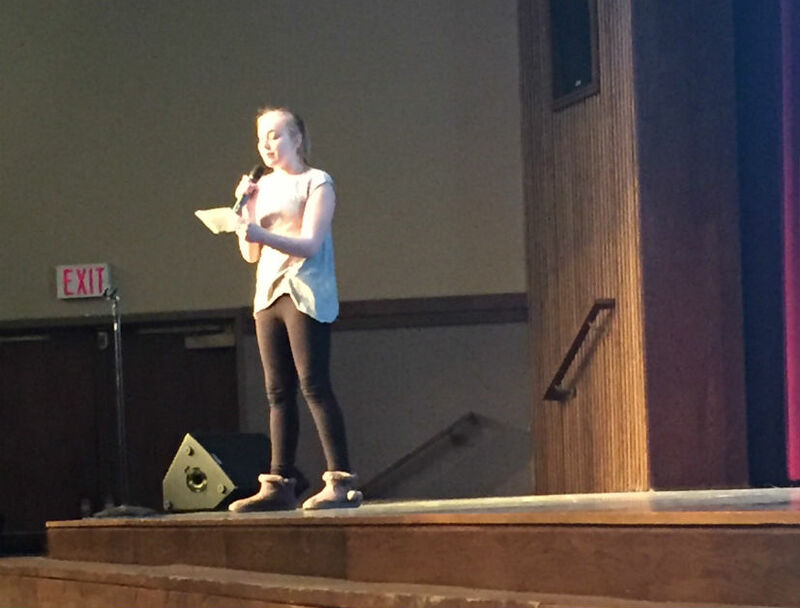 At the conclusion of McElvenny’s presentation the students had approximately 10 minutes to ask what were some very interesting and informative questions and recurve answers. 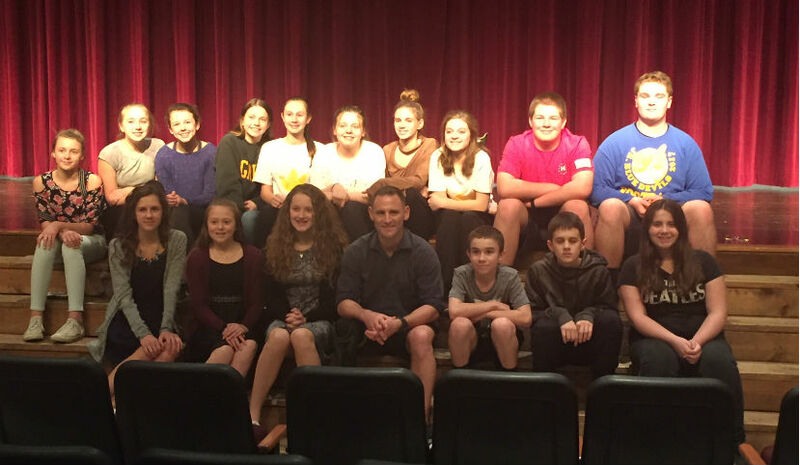 The Beating the Odds Foundation under Rocco Scalzi and their newest Quarterback of Life, Eric McElvenny, brought an extremely valuable and educational program to the Bellwood-Antis Middle School.